What would you like to see more of in Aotearoa poetry from your point of view as a poet? In other words is there sufficient recognition, publishing scope, critical space given to poets who craft their work in ‘different’ ways? I’d love to see new voices find publication from a wide range of styles and personal backgrounds so that we reflect our diverse community in terms of race, class, gender, sexuality, and beyond to be as inclusive as possible. Poets have never had greater access to media and to publishing than now, although our mainstream publishers no longer have deep pockets. It’s always a writer’s task to convince, or make curious, or satisfy, or entertain a readership, and it’s a lyric poet’s task to evoke the particulars of being and a sense of the flow state that created the feelings attached to being ‘somewhere’ at the time. A poem might be on the fridge next to a flat roster, or on the edge of a windswept cliff facing the ghosts of Kapiti Island. There are so many other kinds of poetry I wouldn’t know where to begin, except to encourage that too. Paula: I am dead keen to see a new book of poetry – love the new ones. This entry was posted in NZ author, NZ poems, NZ poetry interview, Uncategorized and tagged Robert Sullivan, Vaughan rapatahana on April 19, 2018 by Paula Green. International Writers’ Workshop NZ Inc (IWW) is delighted to announce that due to an ongoing bequest from the Jocelyn Grattan Charitable Trust The Kathleen Grattan Prize for a Sequence of Poems will take place again later this year. The competition is for a cycle or sequence of unpublished poems that has a common link or theme. The winner will receive The Kathleen Grattan Prize, which is $1000 this year. IWW is thrilled that poet Robert Sullivan will judge the competition this year. Robert’s first collection, Jazz Waiata, won the PEN (NZ) Best First Book Award in 1991 and his nine books include the bestselling Star Waka (Auckland UP, 1999), which has been reprinted five times. His poem ‘Kawe Reo / Voices Carry’ is installed in bronze in front of the Auckland City Library. He directed the creative writing programmes at the University of Hawai’i and at Manukau Institute of Technology. See http://www.anzliterature.com/member/robert-sullivan/ for more. Robert will conduct a 2-hour workshop on Writing a Poetry Sequence at the Workshop’s meeting venue, the Northcote Point Senior Citizen’s Villa, 119 Queen Street, Northcote Point, Auckland on Tuesday April 18 2017 starting at 10.30am. Visitors are welcome to attend. A $10 visitor entry fee to the workshop is refundable to visitors who join IWW by the third Tuesday in June. 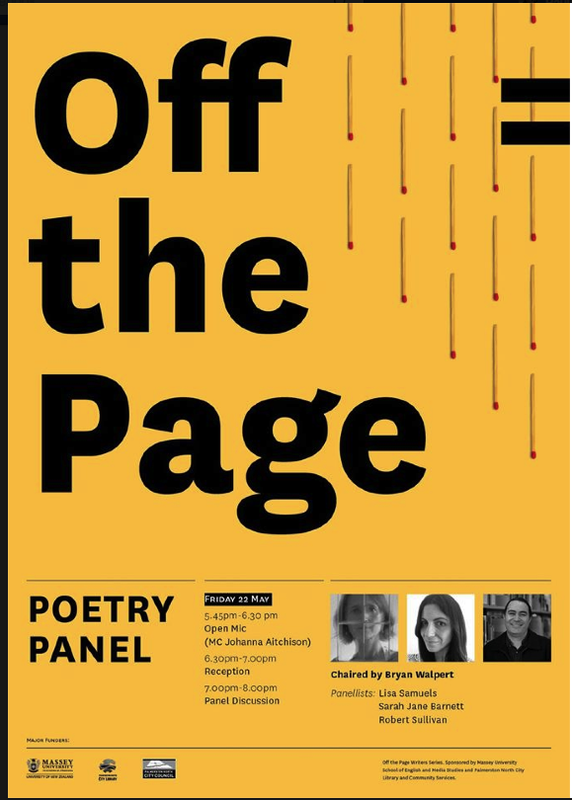 This is the ninth time this poetry competition will be held with previous winners being Michael Giacon (2016) Maris O’Rourke (2015), Julie Ryan (2014), Belinda Diepenheim (2013), James Norcliffe (2012), Jillian Sullivan (2011) Janet Charman and Rosetta Allan (joint winners 2010) and Alice Hooton (2009). As per the terms of the bequest, the competition is restricted to IWW members. For new members to become eligible to enter The Kathleen Grattan Prize for a Sequence of Poems 2017, application for membership must be received by the third Tuesday in June. June 20: Last day for new members to join IWW to be eligible to enter The Kathleen Grattan Prize for a Sequence of Poems 2017. October 3: Closing date for entries in The Kathleen Grattan Prize for a Sequence of Poems 2017. November 21: Announcement of the winner of The Kathleen Grattan Prize for a Sequence of Poems 2017. For further information about the Prize or about IWW in general, contact IWW President Sue Courtney, email iww-writers@outlook.com or phone (09) 426 6687. This entry was posted in NZ author, NZ poetry, Uncategorized and tagged Kathleen Grattan poetry prize, Robert Sullivan on March 29, 2017 by Paula Green. Word of mouth! Love the way Auckland Central Library draws in the poets. This entry was posted in NZ author, NZ poetry, NZ poetry event, Uncategorized and tagged Albert Wendt, Courtney Sina Meredith, Robert Sullivan, Serie Barford, Tusiata Avia on March 7, 2016 by Paula Green.